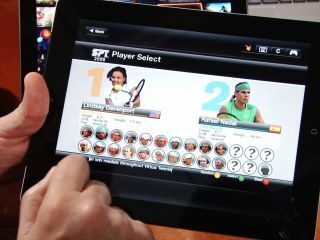 OnLive is bringing its revolutionary online gaming platform to iOS and Android devices with the launch of new apps for both platforms. The OnLive service, which offers full console titles and makes them playable over the internet through buying or renting titles, launched in the UK back in September. The new apps could be epochal as they bring complete versions of games like Assassins Creed Revelations and L.A. Noire to the iPhone and iPad as well as many Android tablets and smartphones. Initially, 25 games, including the aforementioned titles, have been optimised for touchscreen devices. Games will be playable over Wi-Fi and 3G, depending on your internet speed. The app is free to download, but members can pay a monthly subscription for a range of titles, rent games for three or five days, or buy a playpass for unlimited play. "Today marks a major milestone: OnLive is now delivering the latest, console-class, top-tier games - literally to your fingertips - on tablets and phones for instant, on-demand play anywhere, anytime," said Steve Perlman, OnLive Founder and CEO. "Tablets and smartphones, the fastest-growing consumer product categories in history, are now capable of running the hottest, highest-end games. Gaming and mobile devices will never be the same." The mobile apps will boast the same full cloud save functionality, which means you can pick up and put down your games as you see fit and play over a number of devices. The impact that the OnLive apps could potentially have on the gaming landscape cannot be understated. The ability to play console-quality games on the iPad and Android devices significantly raises the stock of the handheld market and poses a huge challenge for mobile game developers. While the range of titles developed specifically for the App Store continues to improve by the day, creating a mobile game which completely mirrors the experience of the console title remains a pipe-dream. Through OnLive's tablet and smartphone apps, which had previously allowed you to browse titles and watch other people play, the best of the gaming world is now yours wherever you may be. Perhaps its Nintendo, with its 3DS, and Sony which is currently preparing to launch the PS Vita, who should be most worried?